Yacht Controller is a "wireless remote controller" that enables you to safely maneuver your boat closer to a dock, or within other confined spaces, utilizing your vessel's own propulsion systems. Click on the logo for more info. Krill Systems designs and manufactures reliable digital marine instruments for monitoring your yacht's critical systems. Our products offer intuitive understanding of complex boat systems at a glance, while being extremely easy to setup and use. Ocean Currents Marine Electric, Inc. of Seattle WA. 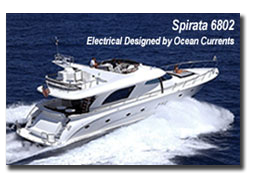 is highly qualified in electrical and mechanical service repairs, rebuilds, and surveying of all yacht systems and designs for production boat building. We believe in seaworthiness and offshore reliability above all. With years of experience running and repairing commercial boats in Alaska, we know what makes for a seaworthy boat - On that we never compromise. We thoroughly understand and always follow the ABYC, the USCG CFR’s, the National Electrical Code, and the NFPA. ABYC Certified Marine Electricians, State licensed electricians, and licensed EPA refrigeration technicians are on staff. We also work with other standards as required, ABS, UL, NFPA, IEEE45, and European CE standards. We have extensive experience in custom and production boat building, repairs and rebuilds, with waterfront service always available. We offer electrical surveying and corrosion surveying for insurance companies and pre/post purchase surveys for boat brokers and owners. We service yachts and workboats with our crew of professional marine electricians, fitters, welders, shipwrights, and painters. Because of our extensive mechanical expertise and project management skills, we are able to expertly handle a broad range of boat building and rebuilding projects. We know how to design and build complete boats and we build them ready for ocean duty. We also are well regarded within the industry and team up with the top large yacht boatyards and recommended subcontractors for haul out and prop work. We know what works and what doesn’t work. 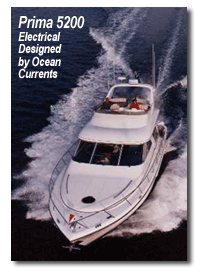 Ocean Currents Marine Electric, Inc. for your next project. Ocean Currents Marine Electric, Inc.